State law requires banks, insurance companies, corporations and the courts to notify the owner of any dormant accounts. Despite these efforts, some funds remain unclaimed and are turned over to the Office of the State Comptroller (OSC). State Comptroller Thomas P. DiNapoli serves as the custodian of unclaimed funds until they’re claimed by the rightful owners. In 2017 more than $434 million in unclaimed funds were returned to their owners. That’s more than $1 million a day. The single biggest claim ever paid occurred in 2008 – a $4 million stock claim. 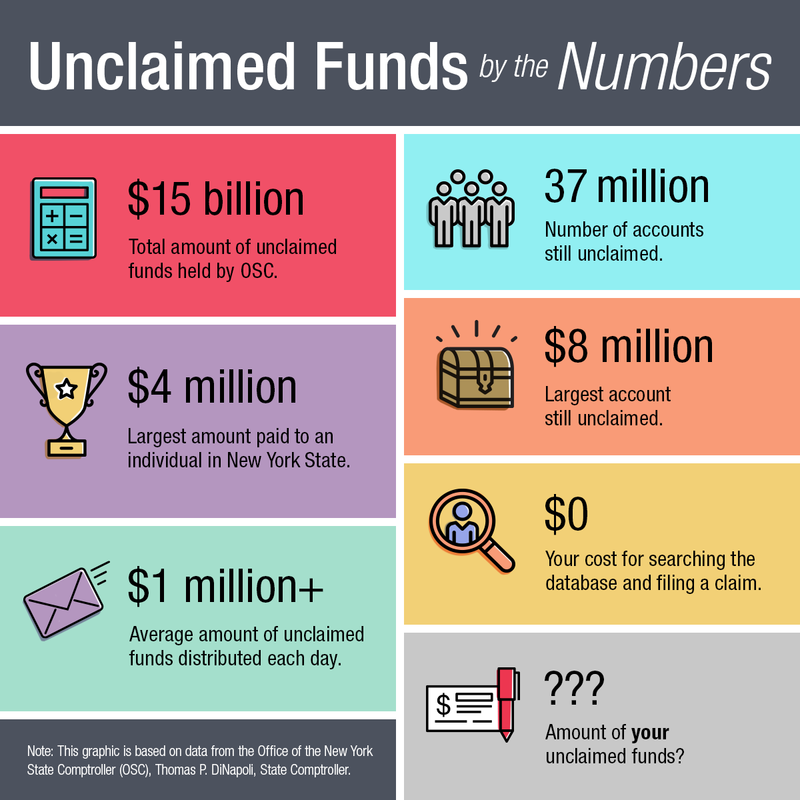 Yet OSC’s Office of Unclaimed Funds still holds over 37 million unclaimed accounts, including $8 million for an estate, though most unclaimed account amounts are much more modest. Our Office of Unclaimed Funds (OUF) has made it easy for you to search for money that may belong to you. It takes just a few minutes to search the online Unclaimed Funds database, and it’s free. 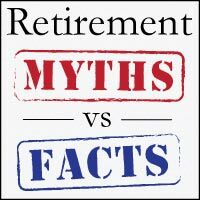 And if you find some lost money, it would make a great addition to your retirement savings. Visit OSC’s Unclaimed Funds website, click the Search Now button, enter your name and click “search.” If you find your name in the database, you can file your claim online and have your money within two weeks, if you’re the rightful owner. To protect you from fraud, we can’t tell you the amount of your claim until we receive and confirm your proof of ownership. Claimants can submit requested documents, such as a signed form or legal documents, online. Claims for deceased owners can be submitted online, cutting processing time in half. Automatic text messages can be sent to alert customers about the status of their claim. There is no charge for searching for unclaimed funds or filing a claim. Location service providers are allowed to charge a 15 percent finder’s fee for locating unclaimed funds, but these companies have no special access to our database and will not get you your money any faster. This entry was posted in General News, Members, Retirees and tagged bonds, Comptroller Thomas P. DiNapoli, custodian of unclaimed funds, ERS, Information is the Key, insurance payout, Lost Money, Money, mutual fund, New York State & Local Retirement System, New York State Comptroller, NYSLRS, Office of Unclaimed Funds, old bank account, OUF, PFRS, Retirement Savings, savings, security deposit, stock dividend on January 11, 2017 by NYSLRS.